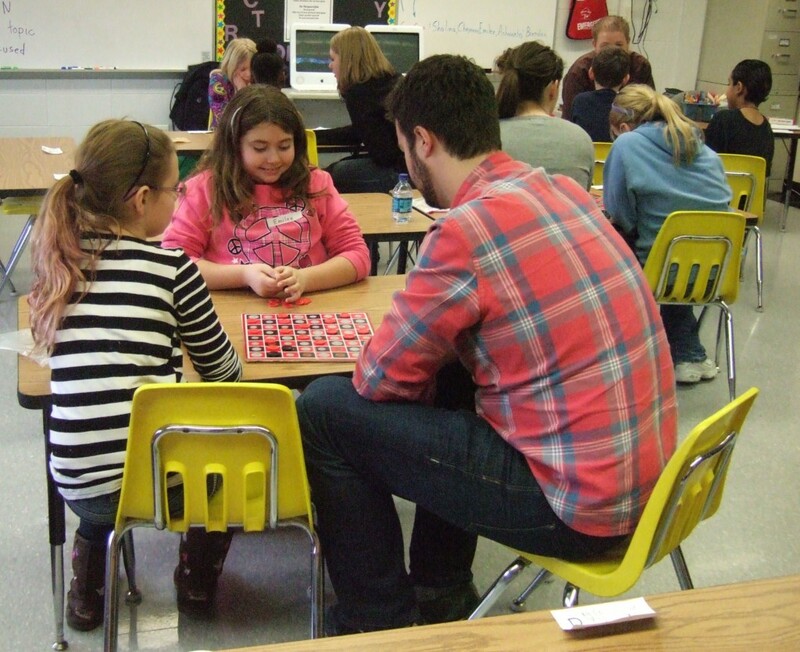 Volunteer Kurt Krogsrud from Comerica plays a math strategizing game with two Abbot Elementary students Feb 2. Sometimes, a little extra attention can go a long way. In a 6-week pilot program, volunteers from Comerica Bank and Google have been playing math games with fourth and fifth grade students at Abbot Elementary for one hour every Thursday during lunch. The program, which was coordinated by AAPS Partners for Excellence, provides extra help for students who participate in Title 1 programming. “They have to strategize on how to play the games and that logical thinking transfers to helping them across the curriculum,” said Cathy Stone, a Title 1 teacher at Abbot. Title 1 is a federally funded program that is similar to Head Start, but for elementary students instead of preschoolers. Stone provides extra support for students who are struggling. This program provides the extra help in a fun way. “They love it,” Stone said. “They can’t wait. They remind me that it’s Thursday and it’s time to play.” Stone has also extended the program to Fridays, so that students can continue playing the new games with each other. The games also encourage the students to become leaders. “Some of the children are going back into the classroom and becoming teachers and showing the other kids in the class how to play the games they’ve learned,” Stone said. 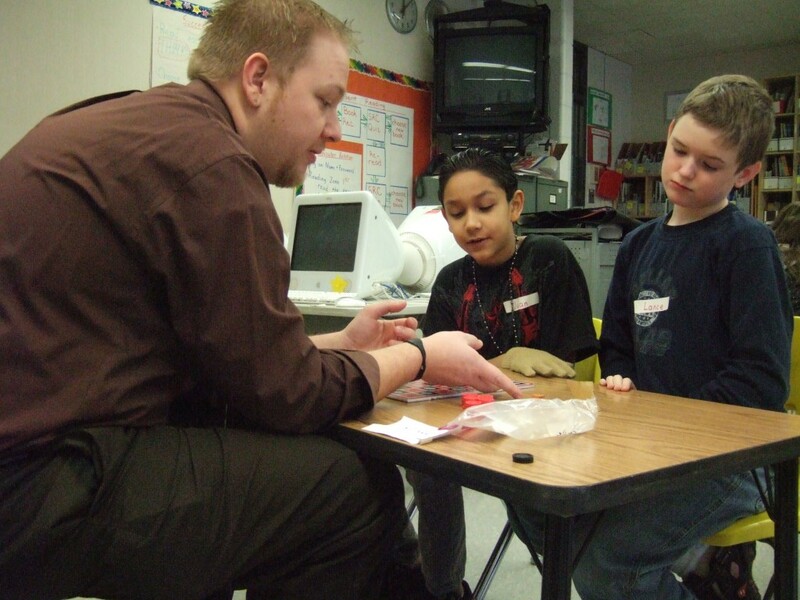 The adult volunteers establish a relationship with the students by working with the same group each week. Stone, like Davidson, thinks the program could be replicated. The pilot program ends in two weeks, but she hopes to get some of the volunteers to return for Reading Month in March. Last Thursday’s game time encouraged students to find all possible ways to count change.